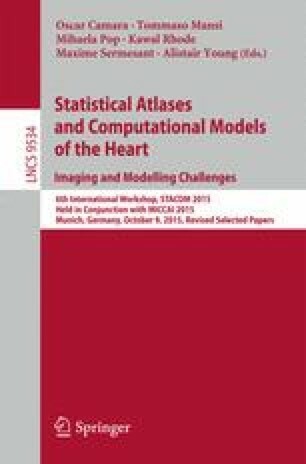 We present the methods and results of building an Active Shape Model (ASM) of the left ventricle (LV) and using a Support Vector Machine (SVM) learning model to classify normal and infarcted LVs provided in the STACOM 2015 Statistical Shape Analysis Challenge dataset. First, all LVs are rigidly registered to a reference LV. In this way, the entire dataset is aligned to the same reference frame. Then, the shape model is obtained by Principal Component Analysis (PCA) decomposition of the aligned LVs. This allows us to capture the principal modes of variation in the LV shapes and reduce the dimensionality of our data. Next, we train an SVM learning model on our data. To test the performance of the model before using it on the unlabeled test set, we test our method by partitioning the dataset with labels into a training set and a test set of equal sizes. We train the model only using the training set and predict the labels of the test set we created (whose labels were known but not used during training). We repeated this for 100 different random partitions and achieved 94 % prediction accuracy with 94 % sensitivity and 93 % specificity on the test set.